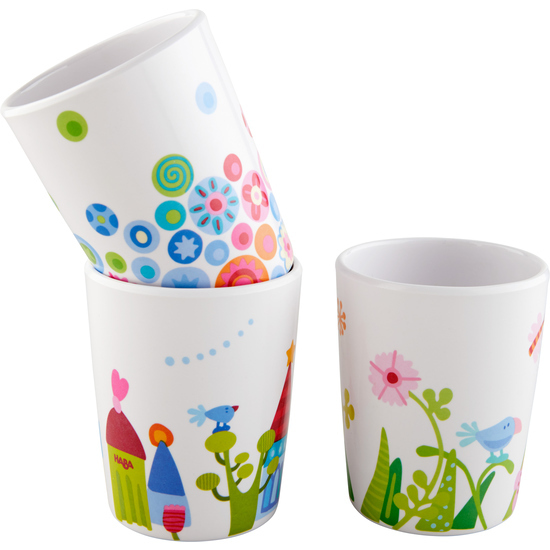 HABA collectable favorite tumblers: exclusive and only available at haba.de. Like adults, children have their own individual favorite drinks- it can be juice, fruit teas, milk or hot chocolate - and HABA has the perfect tumbler for it. But every favourite tumbler also has to go into the dishwasher from time to time, so it's good to have a replacement available. That' s why there are HABA favorite tumblers to collect, with three different motifs. They are really eye-catching on the dinner table and a great gift idea for all occasions.